Master distiller Dennis Malcolm does not spare his energy and passion for his beloved Glen Grant. 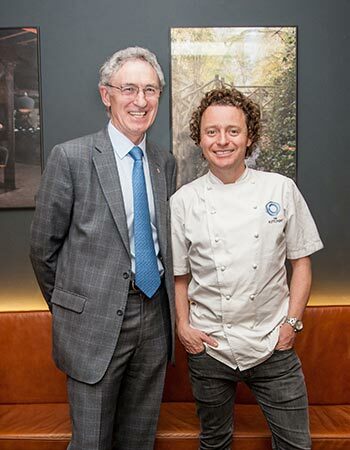 He recently presented the new additions to the Glen Grant range in London during a superb dinner cooked by Tom Kitchin (The Kitchin in Edinburgh). The 10 Year Old is now followed by a 12 Year Old (43%) with an non chill filtered version at a higher strength (48%) for travel retail, and a 18 Year Old due to replace the 16 Year old (too bad both can’t co-exist due to shortage in stock). 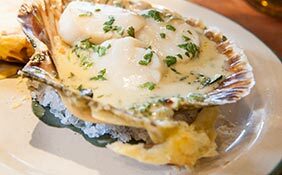 I especially appreciated a wonderful matching of the 10 year Old with an Orkney scallop cooked in its shell with a lovely creamy sauce. Dennis Malcolm has just been awarded a Queen’s Honour, an OBE (Officer of the Most Excellent Order of the British Empire). A most deserved award for a man with a heart and a passion who has made Glen Grant distillery one of the Top Ten to visit in Scotland, in my opinion. There is hardly a week passing without the announcement of a new distillery opening (not to mention the numerous projects, probably half of them will not see the completion). So it was quite refreshing and encouraging to visit an original distillery which has started production in December 2015. – the use of seasonal barley (the spring and winter barley) as to create different aromatic profiles. – a non classic mashing method, first using a hammer mill to make the grist (which gives a finer milling) and, instead of the traditional mash-tun, Inchdairnie has a mash filter, these devices being said to deliver a higher flavour extraction. – a specific yeast recipe developed with Mauri Yeast Company. This is a very interesting point as very few distilleries have conducted experiments on yeast, certainly a key factor in the development of the aromatic profile. 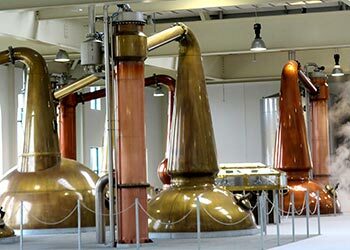 – the stills are equipped with two condensers and not one for more energy recovery but also as the vapours are more in contact with copper, it has an impact on flavours. 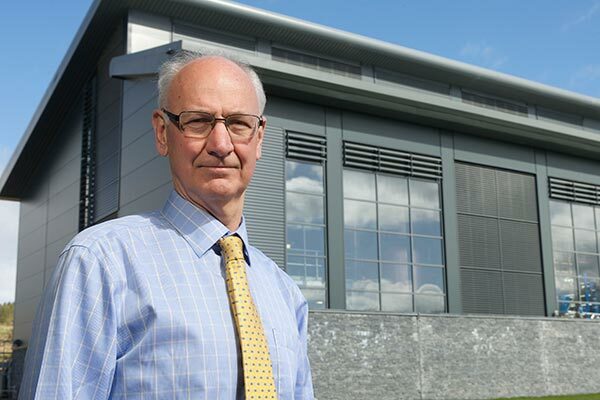 Like all new distilleries, Inchdairnie has made the “green factor” a priority. The first bottling of the single malt is expected in 2019. So no NAS bottlings before ? “We are fortunate not to be under any commercial pressure to release our whisky so we will wait until the whisky is at its absolute best, which could be in 10, 12 or 15 years time, only time will tell.” said founder Ian Palmer (John Fergus & Co). MacDuff International, an independent bottling company which produces blended whiskies including Islay Mist is also a partner in Inchdairnie. The distillery claims not to be a micro one. The production is estimated to 2 million litres for the first year. When visiting, I had the opportunity to taste two new makes. The aromatic profile that is looked for is that of a full-bodied style, different from the traditional Lowland. I can only say that what I tasted is “work in progress” and so cannot be judged. The intention to put the stress on the flavours is interesting. Unfortunately, there is no plan for opening a visitor centre at the moment. In September 2014, I was lucky to witness the first run from the imposing stills at the opening of the brand new distillery built by William Grant on the outskirts of the eponymous town. 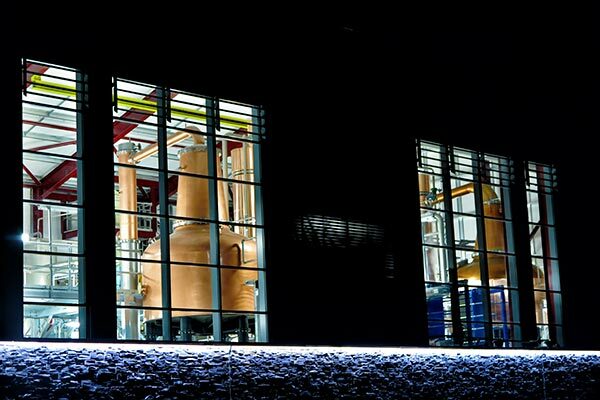 It was a great pleasure, coming back to the distillery two years later, to hear that it now produces 3 640 000 million litres per year, a figure which should double by 2018. Triple distilled and triple blended (malt whiskey, grain whiskey and pot-still whiskey), the new Tullamore is not available for bottling yet but as the brand was still on the market even after the distillery was closed in 1954, the stocks of whiskey came from Midleton in Cork or even at one point from Cooley distillery. 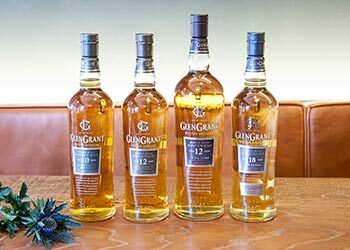 With William Grant’s ownership, Malt Master Brian Kindsman creates the new releases from that stock. Early March, two new bottlings were added to the range : a 14 Year old and a 18 Year Old, both enriched by a quadruple finish: in bourbon, sherry, port, and madeira casks. No doubt Ireland plays a major card at the moment. At the best of its prosperity until mid nineteenth century, Dublin counted around 40 distilleries. 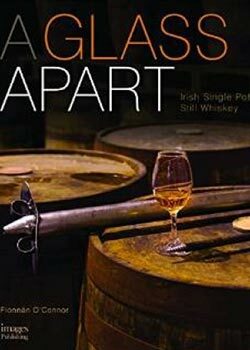 Then struck by hard times, the whole of Irish whiskey declined and the doors closed one after the other. The last still to produce whisky at Jameson distillery was sent to Midleton near Cork in 1976. John Teeling founded Cooley distillery in 1987. His sons Jack and Stephen decided to leave the company when it was bought by Jim Beam in 2012 to build a distillery in Dublin, in the Liberties, the very district where their ancestors once had stills running. Interesting detail, Alex Chasko, the master distiller is American, from Oregon. He left Cooley distillery, though it now belongs to an American group, to join the new venture. His passion and knowledge shines through his explanations. 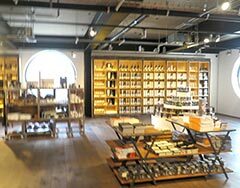 The distillery is modern, welcomes local artists for exhibitions and the visitors in a warm shop and a pleasant café. 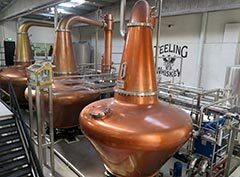 The whole of the production is gathered in one single space, with the three stills named after Jack Teeling’s three daughters. The production is equally divided into single malt and pot-still whiskey. 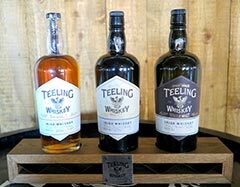 With the large stocks kept from Cooley – the new distillery still uses the warehouses of Greenore – Jack Teeling and his brother have plenty of bottling opportunities; The first releases have all been acclaimed. The single grain is delicious, the Small batch as well as the Single Malt have received awards. The Teelings are obviously experimenting with finishes, using wine casks (burgundy, cabernet sauvignon from California, sauternes) as well as rum, bourbon, madeira, port and sherry. Teeling, remember the name… and buy the whiskey. The way Fionnàn O’Connor blends his passion, his erudition and his witty elocution is mesmerizing. 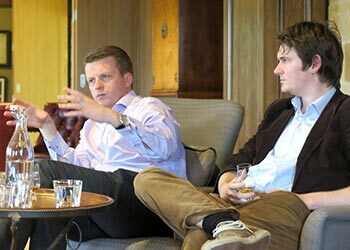 The research that this young man has conducted on Irish Single Pot Still whiskey is priceless. Not only he knows everything there is to know on the history and the making of Pot Still Whiskey but he also provides thrilling tasting-notes. Meeting Fionnàn and listening to his torrential speech convinces you that you know you know nothing as Socrates professed. Highly recommended.